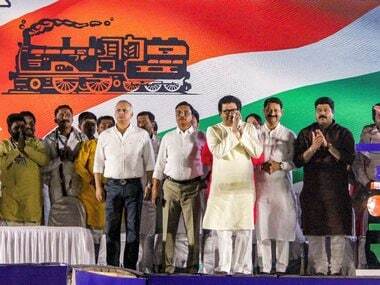 Mumbai: In the backdrop of Prime Minister Narendra Modi's Dussehra rally in Lucknow, Shiv Sena on Thursday said the celebration of the festival in Uttar Pradesh was an attempt by BJP to consolidate votes in the name of Ram temple for the forthcoming Assembly elections. At the same time, the ruling alliance partner sought to know what prevents BJP from making use of its absolute majority in the Lok Sabha to start contruction of the temple in Ayodhya instead of just engaging in sloganeering on the issue. "The Prime Minister twice said the slogan of 'Jai Shree Ram' while speaking in Lucknow and thereby sounded the poll bugle for the state. What impact this sloganeering is going to have will be seen in the near future. But, the fact is that the UP polls are a matter of life and death for BJP," an editorial in Sena mouthpiece 'Saamana' said. It said Modi's act of performing 'Ganga aarti' (in Varanasi) soon after becoming the PM led to enthusiasm among party workers and believers of Hindutva. It was also significant that he was the first PM to do so. 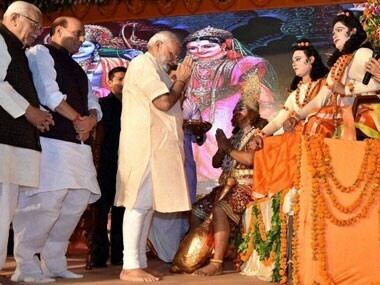 "The whole idea behind celebrating Dussehra in Lucknow and raising the slogan of 'Jai Shree Ram' was to garner votes in the name of constructing a Ram temple in the upcoming UP polls," it said. 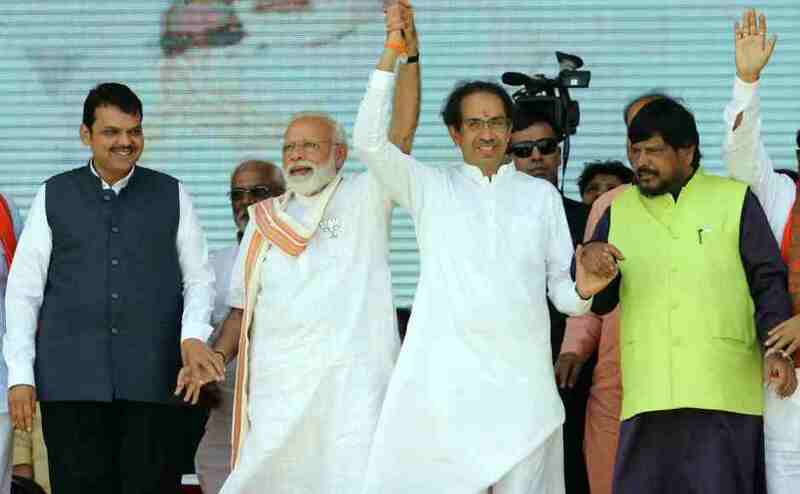 "It (BJP) hopes that even if the temple is not constructed, the lotus would at least bloom," the Sena said, adding, the BJP should once and for all announce how much more politics it wants to play over the issue of Ram temple. 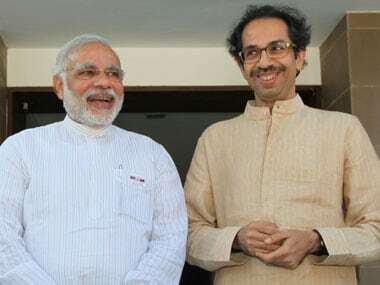 "You have 280 seats in the Lok Sabha and along with other parties like Sena, you have 300 plus seats. If a Ram temple is not constructed now, when will it be?" it asked.